Jack Daniels Tennessee Fire Whisky has an intense cinnamon flavour, with a smooth start and fiery finish. 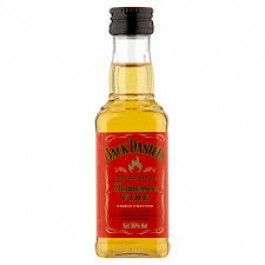 Jack Daniel's Tennessee Fire Whisky blends red-hot cinnamon liqueur with the smooth character of Jack Daniel’s Old No. 7 for a classic spirit with a fiery finish.